Moving, no one likes to do it. You have to be careful how you lift and move items, and you have to have a plan in place long before the actual move. But, the best furniture moving straps can help you take the stress and strain that comes with moving off of your back. 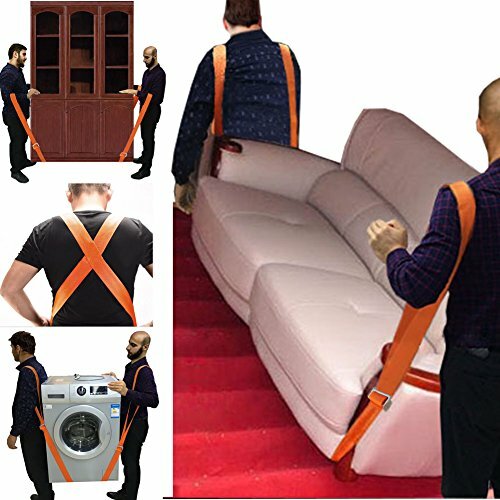 Furniture moving straps have caught on with moving companies and people alike due to the wide range of benefits you can get simply from using them. If you’re not sure what a furniture moving strap is or what you want to look for when you’re shopping for one, our buying guide can help. 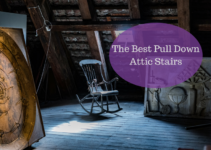 We’ve also rounded up the top 10 best furniture moving straps so you can have a starting point when you begin shopping. Moving straps are lengths of nylon or other durable woven materials that are formed into a harness or a loop that you wear around your forearms. A long strip of material goes between the two harnesses and supports whatever item you want to move. You secure the harnesses first, and then run the strip of material under the item you want to move. When it’s in place, secure it to the harnesses, and now you can lift it without straining your body. There are two basic types of moving straps that you can buy to help you move your furniture or appliances. 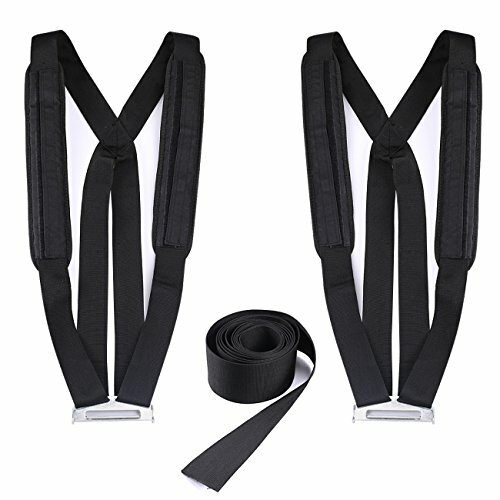 Forearm Straps – Forearm moving straps have a long center strap that splits off into two shorter straps at each end. These straps have loops on both of the two split sections, and these loops go over your forearms. You maneuver the longer center strap under whatever you want to lift, loop the straps around your forearms, and lift it that way. You can use your hands to stead the load. 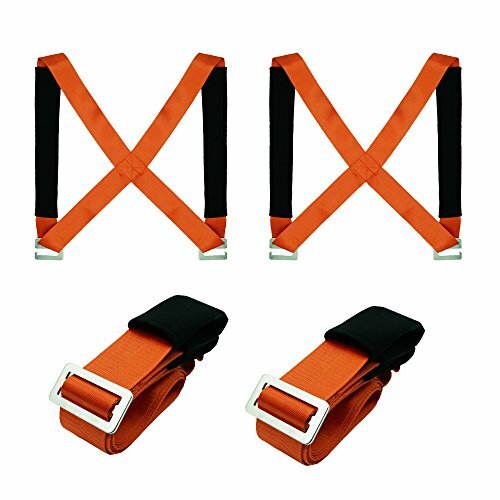 Harness Straps – Harness straps work just like the forearm straps do except that the middle strap detaches and you have harnesses. Two people put the harnesses on, and they usually loop over your shoulders, form an ‘x’ on your back and secure around your waist. 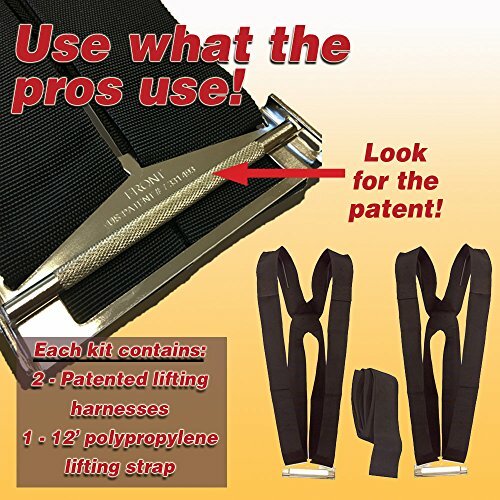 The longer middle strap connects to your harnesses at waist height. You tighten the straps and lift to move the items. There are a few things you want to watch for when you’re buying your new moving straps. Nylon is a good material for moving straps, and you want them to have metal buckles or fasteners if possible. This can help to ensure that your moving straps will last through repeated use without breaking, stretching out, or tearing. Another important consideration is the length of the strap that goes under the furniture or appliance. The strap’s length can vary from around nine feet up to over 13 feet, and you want to make sure that you have a long enough strap to accommodate your needs. Harnesses usually have some foam padding or insert around your shoulder and neck areas. Forearm straps may have padded loops to go around your arms. These things can help to keep you comfortable, and they can prevent the straps from rubbing or cutting into your skin. Unless both people who are using the moving straps are the same height and build, size is going to be important. Many of the straps are one size fits all, so it’s just a matter of tightening and adjusting them until you get a secure fit. You want it tight enough that it won’t slide around when you move items. These furniture moving straps take the strain off of your back and transfer the load’s weight to your shoulders and upper back. They enforce good lifting practice, and you can keep your hands free for a safer and quicker move. They’re designed to be one size fits all, and the easily adjustable straps ensure that you get a snug and secure fit. They also have extra wide straps for additional comfort. 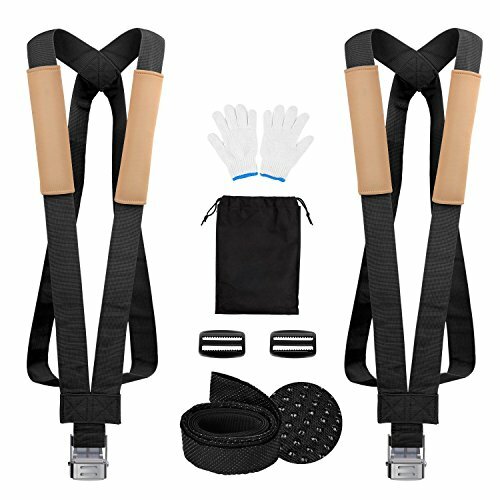 You’ll get better balance and better stabilization when you use these straps, and you can use them to lift up to 800 pounds. Choose from a variety of bright and bold colors with these moving straps. Each strap nine feet long, four inches wide, and you can adjust them up to four feet so you can quickly and easily carry a wide variety of objects. They use leverage so you can lift heavier objects without a lot of strain, and they encourage good lifting techniques, so you don’t hurt your back. They can also save your floors from scratches as you move. These straps can reduce an item’s weight by up to 66 percent for lighter, safer moving. These fully adjustable straps loop around your shoulders so your upper body takes the most weight. It can help to reduce back pain since you won’t have to bend as much, and you get two support braces when you order this product. They’re very lightweight, and you can adjust them to the perfect length for your height. The webbing adds support to the item you’re trying to move, and it’ll make the items seem lighter. The buckle is easy to adjust, and it locks the straps in place, so they don’t slip when you move your items. These straps come with extra long shoulder pads so you’re comfortable no matter how large or small your frame is. These straps can reduce the weight of the items you carry by as much as 70 percent, and they’re designed to be one size fits all. You also get a free storage bags and gloves when you order this product, and the gloves feature a non-slip coating. The metal clasps are durable and easy to secure or adjust as you need it. The secure x pattern helps to provide stability when you move larger items. These bright moving straps feature a secure “x” design that crosses over your back and loops around your shoulders. The strap’s fabric is built to last, and it can withstand weights upwards of 1,700 pounds without tearing, stretching out, or ripping. They’re very easy to put on and take off. You can also adjust them easily, and they work well with people who are different heights. They’re very lightweight, and they weigh just over a pound. You can fold them up and store them in the soft storage bag, so they’re out of your way and safe until you need them again. 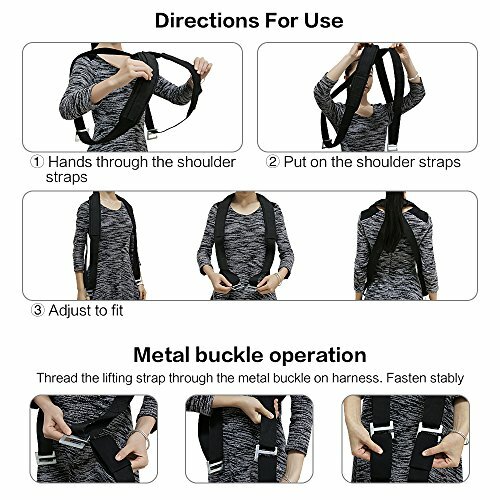 You can purchase from one to five packs of these straps when you buy it, and they’re designed to loop around your forearms so you won’t be bending and lifting. The straps are nine feet long and three inches wide so you have enough support for a variety of objects. 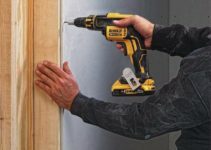 These straps can provide protection for your walls, doorways, or floors when you move to prevent nicks, scratches, or gouges. The strap material is webbed to give it another layer or durability, and the buckles will snap securely in place, so the straps don’t slide around. 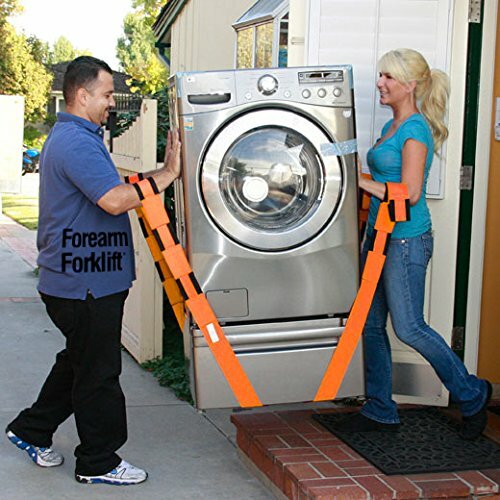 You can move up to 650 pounds with these moving straps, and they’re made out of durable nylon material. The shoulder straps have padding on the inside layers for additional support so you’re comfortable when you move your items. The wide adjustable straps allow for a large range of motion, and it comes in a one size fits all design so you’ll get a secure fit no matter what size your frame is. You can choose from an all-black design or an orange and black design, and the durable metal clamps fit securely where you put them. This setup comes with two harnesses and one middle strap. The straps and harnesses are three inches wide and made out of a durable nylon fabric. You can adjust the length from five feet long up to nine feet long to accommodate larger appliances or furniture. The harnesses are adjustable as well, and you get 48 inches to shorten or lengthen for a secure fit. You’ll use leverage instead of strength with this setup, and this can take the stress off of your back. It also forces you to use good lifting practices. These straps look around your shoulders and secure around your waist for additional support. This design transfers the object’s weight off of your back and onto your shoulders. There is also a thick padded layer that helps to keep you comfortable while you’re lifting and moving your items. The metal buckle provides a secure fit, and the straps feature 13 feet of material that can carry up to 600 pounds without stretching out or snapping. This setup comes with a storage bag so you can keep the pieces together when you’re not using it, and gloves with non-slip padding. 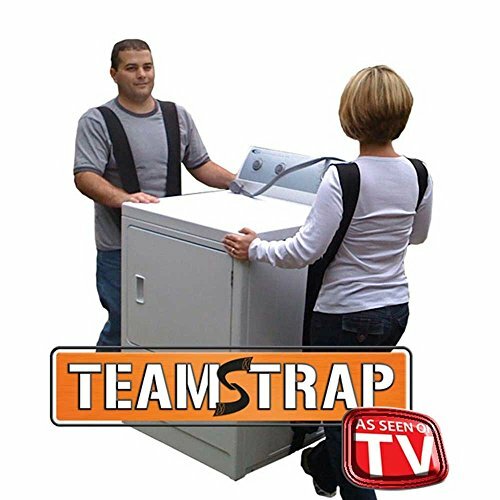 These straps allow for hands-free moving. They safely and effectively transfer the weight onto your shoulders to protect your back from injury. They feature an extra long foam shoulder pad that can protect you from strap burn or rubbing issues. These furniture moving straps are made out of heavy-duty webbing that can adjust up to 12.8 feet, and the carrying strap can handle up to 600 pounds. 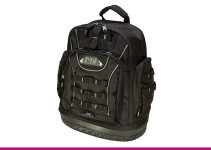 This product comes with two harnesses, the carrying strap, and a carrying or storage bag. It all clips together with a durable metal clamp. The best furniture moving straps can be a great way to move your larger appliances or furniture without putting additional strain on your backs or legs. They help to reinforce good lifting techniques, and they help to transfer an item’s weight evenly between two people. It’s important that you do your research and pick out the best choice for your needs.